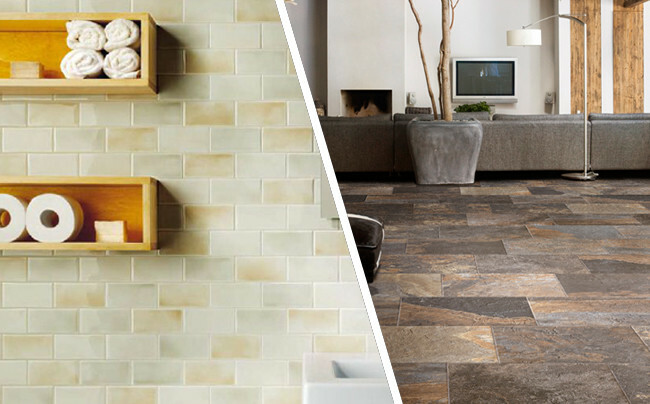 Ceramic vs Porcelain Tiles - Pros & Cons | What's the Best Floor Tile? Looking for the most satisfying answer for “Ceramic Vs Porcelain” which one is better? Then look no further! Discover the key differences between ceramic vs porcelain is like picking up the right tile option for your beautiful home. However, when considering a modern tile to enliven any floor, countertop or wall, you need to keep porcelain and ceramic tiles top on your list. These tiles give the most classic look and stylish appearance to your overall home. The homeowners love both kinds of tiles due to their vast variety and durability. Despite all their similarities, there are some key points that make these two tiles different from each other. You can consider the comparison between ceramic tile and porcelain tile for your next purchase. Westside Tile and Stone is putting the spotlight on porcelain and ceramic tile to provide the detailed insight of both these kinds of tiles for the best decision. Both porcelain and ceramic tiles are the part of the same family, called ceramic and are a mixture of clays mined from the earth and other natural materials. These two kinds are them fired in a kiln. However, if we individually talk about ceramic available as naturally colored has come with red and earthy coloration and left unglazed like terra cotta, it is first pressed at lower pressure and then fire at the lower temperature. The case is different for porcelain composed of fine porcelain clays and fired at much higher temperatures than ceramic tiles. Most of the time, ceramic tiles first pass through a glaze of pattern or colors and then through kiln again. However, ceramic is more porous and less dense as compared to porcelain. But the power of absorption and hardness depends upon the type of clay use. Similarly, it depends upon pressure used to form tile and the heat of the kiln. Let’s find out the key features that make both these tiles different from one another. If we talk about the porcelain then it is denser and water-resistant as compare to ceramic when it’s about resistant to fluid passing through it. As we know ceramic is less impenetrable as compare to porcelain, so it’s easier to cut them off. Ceramic tiles are the best option for those customers who want to involve tiles in different shapes and angles and even planks. One can mix and match in patterns that reflect the theme of the home. Compare both kinds of tiles, then porcelain tiles have much less rate of water absorption, so these are the best option for the exteriors in all types of climates. The ceramic tiles are one step back in this race and prone to crack in cold weather. Porcelain tile results as more stain and scratch resistant than ceramic. Ceramic tiles which are coated with a glaze, if cracks or chips, the clay material underneath the glaze will get noticed whereas with porcelain tiles the color runs through the whole tile, which disable the chip to show through. Colour permanence make ceramic tiles a good choice as the colors fires in tile’s clay body or onto the glazed body, so fading is not the case with them. The ceramic tiles are the best option if you search for those tiles whose colors don’t fade when exposed directly to sunlight. As compare to ceramic, porcelain tiles are much translucent as these tiles are vitrified and then cooked at the high temperature of 1.400ºC in the reducing environment. 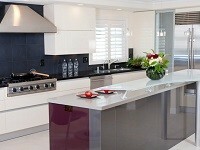 However, this process makes these tile unique and offer brightness, whiteness and of course transparency. Porcelain tile does not burn easily and in case of any fire accident, these tiles can restrict the movement of flames also. That is not in case of ceramic. As both tiles are a mixture of clay, ceramic tiles available as naturally colored comes with more red, earthy coloration as compare to Porcelain tiles comes with gray or white surfaces. Hence, ceramic tile is an ideal choice for giving a warmer look to your kitchen or any home space. Also, Ceramic tiles can be printed in a way to give an attractive look on hardwood and stones. Porcelain tiles have the ability to stand for long-lasting decades if properly installed and do not get worn out in places of high traffic also as compare to Ceramic. 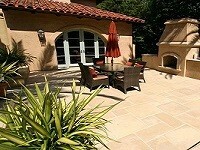 In general, laying both porcelain and ceramic tile outdoor is not recommended. But when it comes to comparison, ceramic tile is typically not durable for exterior use because it is more porous in nature. Generally, Ceramic tile is a more affordable option than porcelain which is due to the materials outpace the standard that increasing the cost of installation of porcelain tile. But, as porcelain tile is more durable and last for many years, so it may be a good investment on flooring. The waterproof and resistant to damage, stains, and water penetration ability of porcelain makes it easy to maintain. Regular cleaning and sweeping or periodic damp mopping using a pH balanced solution is sufficient to keep dust and debris free floor and maintaining the area disinfected. On the other side, ceramic tiles are very hard which makes cleaning and maintenance a tough job. Both types of tiles porcelain and unglazed ceramic should be sealed in a way to protect the surface against and form of liquids from penetrating. Also, the grout lines in between these tiles should be protected as it is a type of porous substance and susceptible to moisture, hence, sealing is a must to prevent mold and mildew to form or any damage from occurring. PEI Porcelain Enamel Institute rating, this is the most important factor that makes the decision of choosing the best tiles for your home much easier which range from PEI 0 (no foot traffic) up to PEI 5 (heavy residential and commercial traffic). However, according to properties and the characteristics of both kinds of tiles, Ceramic tiles are best suitable for moderate traffic means suitable for home flooring. Similarly, due to the durability, transparency, porcelain tiles are the best suitable for commercial as well as residential uses. So the rating for ceramic lies between PEI 2-3 and similarly for porcelain between PEI 4-5. The density for porcelain is pressed less than 6000 pounds per square inch. Under the Porcelain Tile Certification Agency (PTCA) program, that certifies tile as being porcelain and meeting the ASTM C373 standards of water absorption criteria by having five tile samples for qualifying testing, paying a participation fee and submitting an agreement, and initial and renewal of certification every three years. Westside Tile and Stone, being in the tiling industry for years and offering the customers with the most advanced, durable and affordable tiles all over Southern California and the greater Los Angeles area with an aim to only provide the comfort of tiles and nothing else. As you are familiar with the basics by now, it’s just useful to determine which tile, how and where it should be used. Whether your family prefers ceramic or porcelain, there’s a tile option for your flooring needs. So if you are looking for the most stylish, attractive and durable tiling options, then Westside Tiles is the only station for you to visit. Contact us today to schedule a free, in-home consultation or visit our tile store discover the perfect floor for your home. We work with the residents of Agoura Hills, Beverly Hiils, Brentwood, Calabasas, Malibu, Northridge, Pacific Palisades, Santa Monica, West Hills, West Hollywood and the bordering neighborhoods in Southern California.